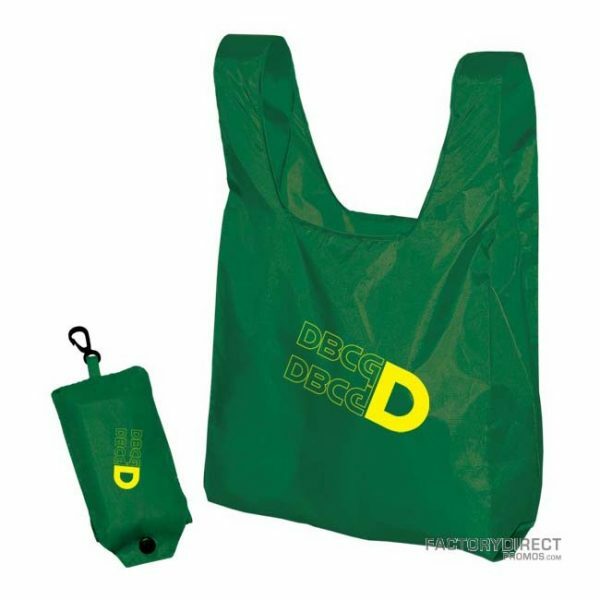 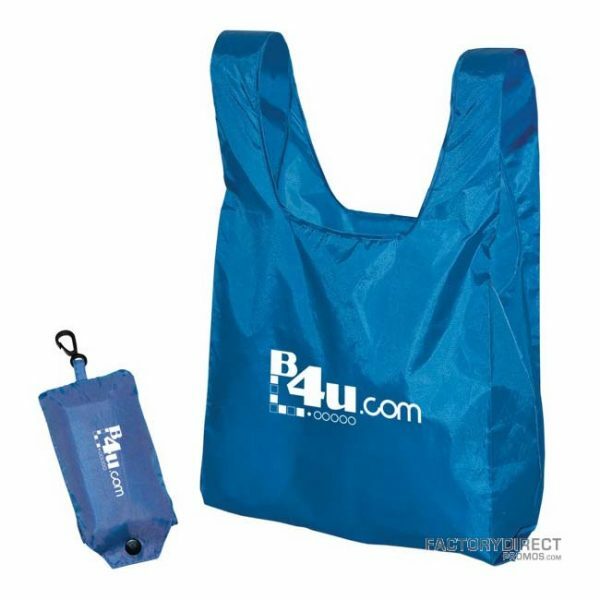 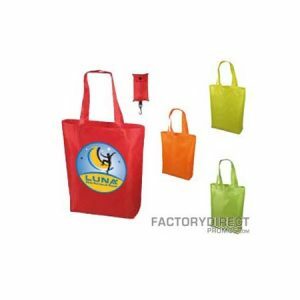 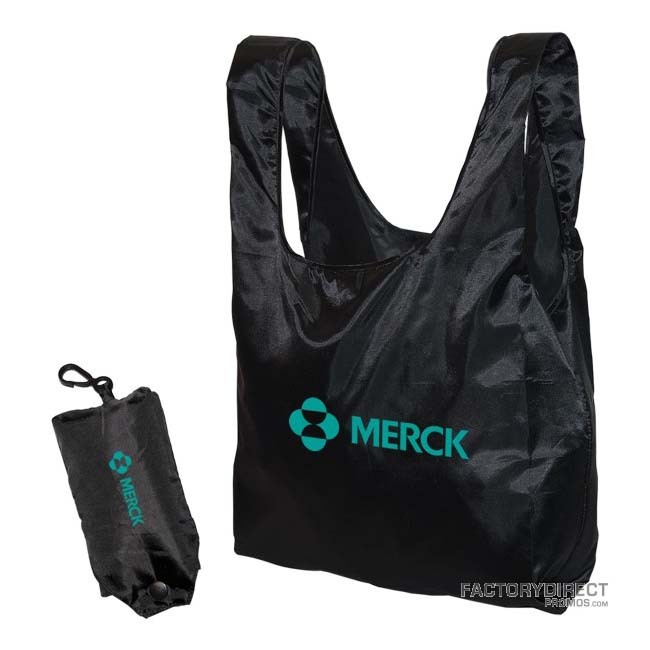 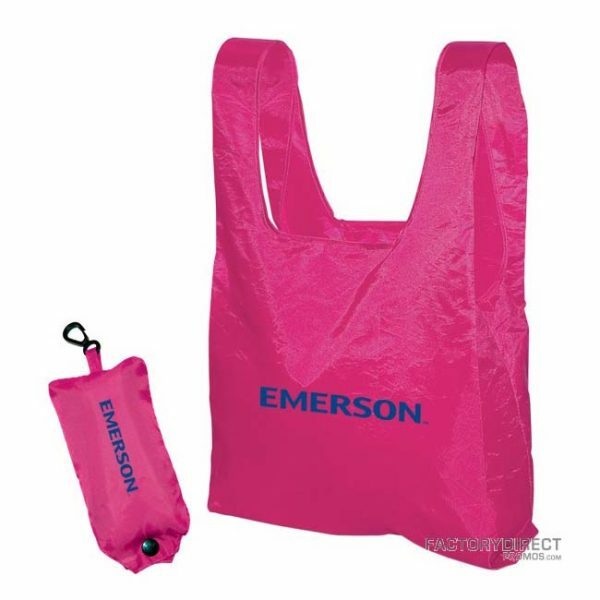 This folding tote is made from lightweight 190T Polyester and features a tote bag that folds into a separate pouch. 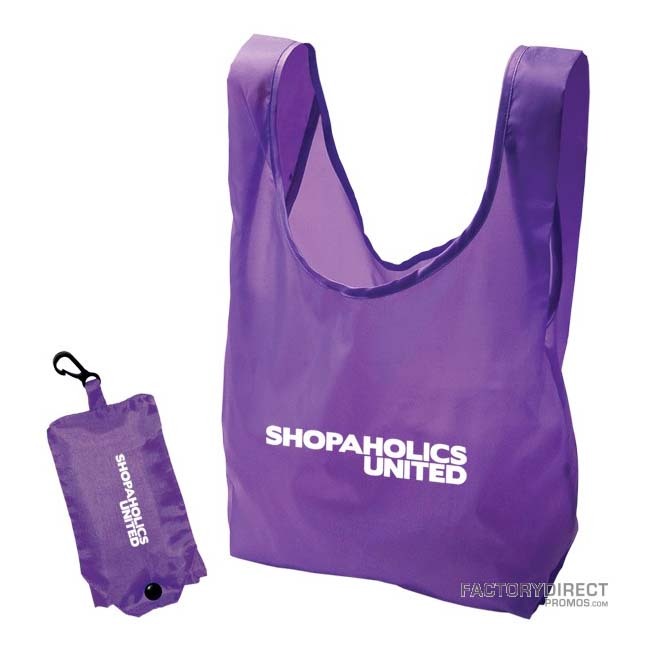 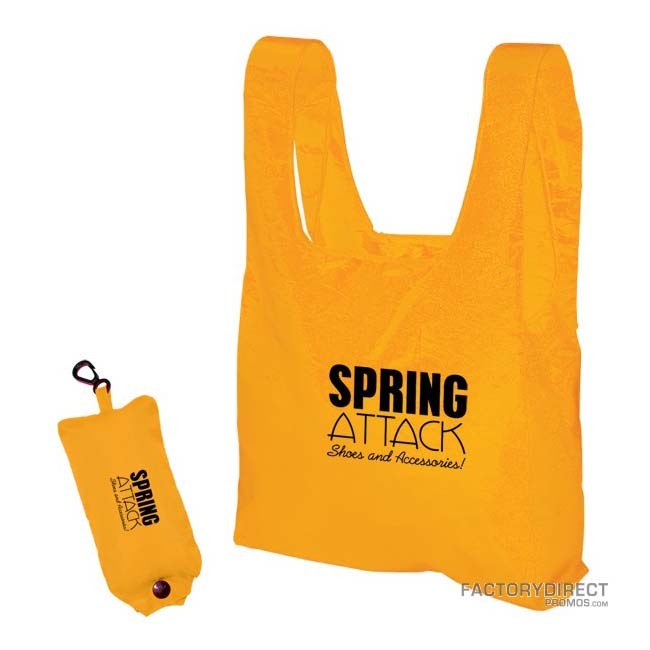 The pouch has a snap closure and plastic clip to attach to your bag or purse. 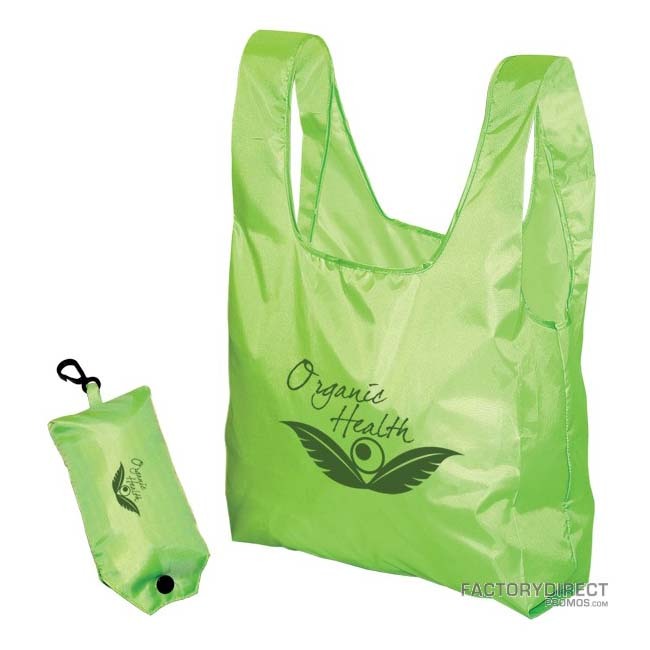 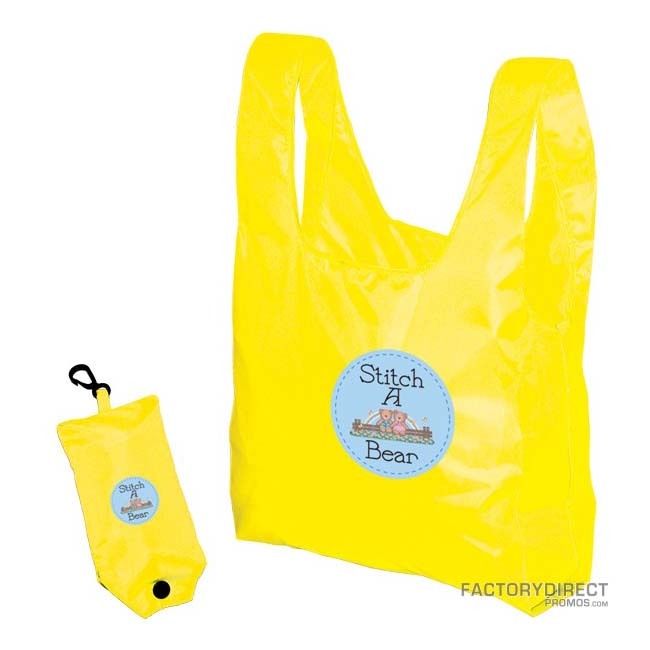 Easy to carry, stylish and reusable!